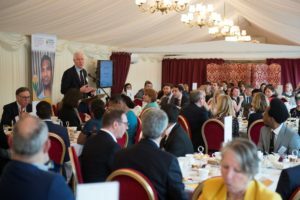 Some of the capital’s largest employers came together at the House of Lords yesterday to discuss how we need to bridge the gap between young people reaching their potential and companies achieving their growth ambitions. 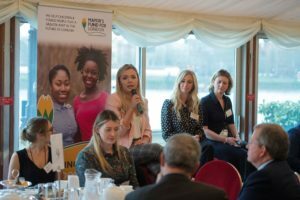 Hosted by Lord Stanley Fink, the event allowed us to introduce our new enhanced employment offer to representatives of business, government, schools and the third sector and hear from young people who were previously involved in the programme. Access Aspiration is an employability programme designed to provide careers support and guidance for 16 –24 year old young Londoners who are making key decisions about their future careers but struggle to make links with employers. Working in partnership with over 100 prestigious London employers, such as the Bank of England, EE, Network Rail, and NHS Imperial College Hospitals, the programme has provided a unique menu of opportunities, such as structured work experience and industry insight days, to young Londoners at a critical point in their education. This year, we will also be including an interview preparation and job/apprenticeship recruitment service with major employers to the programme. There are approximately 700,000 young Londoners living in poverty with levels of youth unemployment at nearly 11%. Research tells us that young adults who recall four or more encounters with employers while at school are five times less likely to be unemployed. If you are interested in supporting us or would like further information, please download an outline of the programme or contact us. 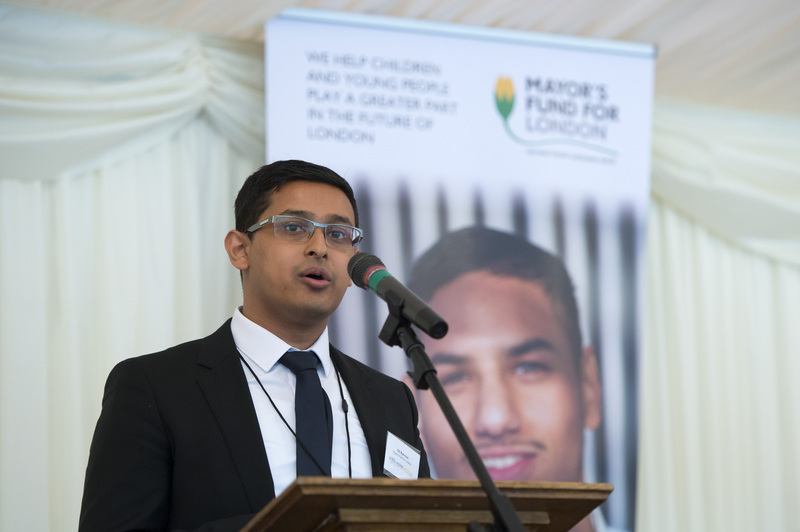 Kusai Rahal received career advice and work experience through the programme. He went on to study International Relations and Politics at Queen Mary’s University, became heavily involved in charitable activities and was a speaker at a House of Commons event in 2016: “I was the antisocial kid who did not have the ability to speak fluently without stuttering. My thoughts were trapped in my head. 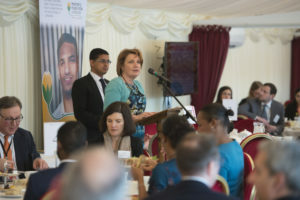 I will never forget the day I gave a speech in Parliament to young people in front of individuals from the Bank of England, EE and other big companies. 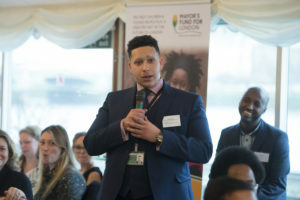 I spoke about my experience with Access Aspiration and how it had motivated me to start my own youth-led charity, Young Leaders Driving Change.” He is currently undertaking an internship in Parliament and hopes to support a social and political change in the UK. 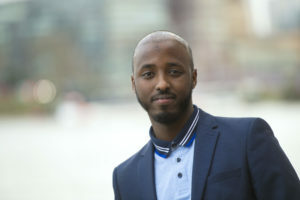 Ayanle Ali moved to the UK as a Somali refugee and grew up in single-parent household. He was the first in his family to go to school, take A-levels, and go to university. After trouble accessing the labour market and higher skilled jobs, Ayanle was left feeling that the system did not allow access to opportunities to people like him. Speaking about his 3-month placement with Network Rail, he said: “It exceeded my expectations. I was actually treated as an equal and included in everything the team did. The level of trust and confidence placed on me is something that surprised me. I’m very grateful for the opportunity to learn from a highly skilled and experienced team. I always struggled with my confidence and this role really helped me understand and believe that I can compete at this level and that I do belong.” Ayanle is now in full-time employment with Network Rail. Sophie Pender grew up on a council estate with just her mum. She was the first in her family to go to university and in 2014 she became the first student in the history of her school to achieve straight A*s at A Level. While in school, Sophie made the most of her work experience and gained an interest in law. Sophie is currently a Trainee Solicitor, and hopes to help improve social mobility for future generations of state school students.